The dangers faced by migrants and asylum seekers—in their countries of origin, en route to another country, and upon arrival in the U.S.—continue to be of grave concern. Our report this month focuses on the treacherous journey and the frequent obstacles to safety. Judicial Order to Return Children: A U.S. District judge in San Diego has ordered that government agencies reunite all separated migrant children with their parents, within 14 days for those under the age of 5 and 30 days for older children. However, Health and Human Services (HHS) has issued several excuses for delaying reunification. For example, HHS maintains that they can only reunite asylum seekers with their children once their hearings are complete—a months- or years-long process, and the separation itself a human rights violation—forcing these individuals to consider dropping their claims and being deported in order to be reunited. 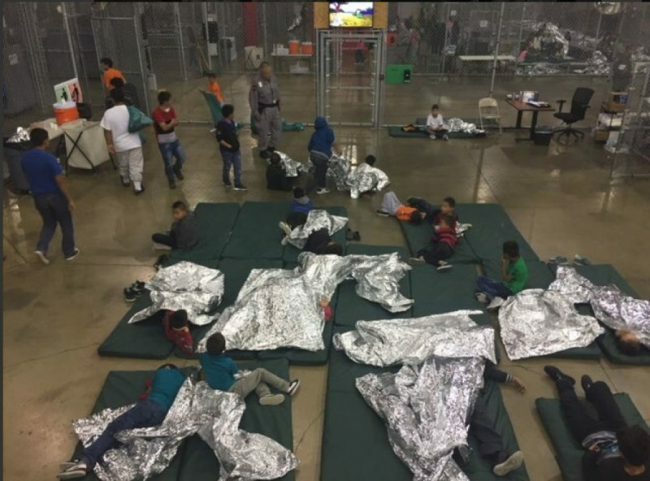 More recently, they asserted that the July 26 deadline for returning all children does not permit thorough vetting of the parents, a claim the judge regards as unsubstantiated and irrelevant since HHS should have accelerated their vetting process well before the court order. Read more about this Administration-created crisis here: https://www.nytimes.com/2018/07/14/us/family-reunification-migrant.html?action=click&module=RelatedCoverage&pgtype=Article&region=Footer. Mexico Dangerous for Migrants: As violence in the Northern Triangle of Central America (El Salvador, Honduras, and Guatemala) continues unabated, those fleeing to or through Mexico encounter further threats, targeted attacks, and sexual abuse there. Doctors Without Borders has found that the situation is intensified by harsh U.S. border policies and restrictions that essentially trap migrants in Mexico. The realities of violence against migrants in Mexico are especially important as the U.S. government continues efforts to designate Mexico as a “safe third country,” which means that those who transit through Mexico would be unable to seek asylum in the U.S. Here are the details: https://www.msf.org/mexico-unsafe-country-thousands-refugees-fleeing-violence-central-america. S. Asylum Seeker Ban: The U.S. Department of Justice is considering a rule to preclude border crossers apprehended between ports of entry (rather than presenting themselves at the port of entry) from seeking asylum. Jailing and criminally charging asylum seekers are violations of international law and many treaties signed by the U.S. It is part of a broader overhaul of asylum policy under the Trump Administration that would sharply reduce the number of people, particularly Central Americans, who could seek asylum in the U.S.: https://www.vox.com/policy-and-politics/2018/6/29/17514590/asylum-illegal-central-american-immigration-trump. Violence in Nicaragua: As Jesuit Migration Service, a KBI partner in Costa Rica, tracks an overwhelming increase in the number of Nicaraguans escaping brutalities in their home country, the violence perpetrated on the Nicaraguan people by their own government only increases. This article outlines the life-threatening dangers, government crackdowns, and political unrest in Nicaragua, forcing this regional migration to a neighboring state: https://www.nytimes.com/2018/06/20/world/americas/nicaragua-peace-talks-violence.html. I’m impressed by the quality and amount of work that Kino Border Project is doing. Given the state of policy in this country, your work nourishes hope. You see a lot of tragedy. Believe me…I’m grateful that you share it. Elections are coming soon. Such information is essential for decision making.